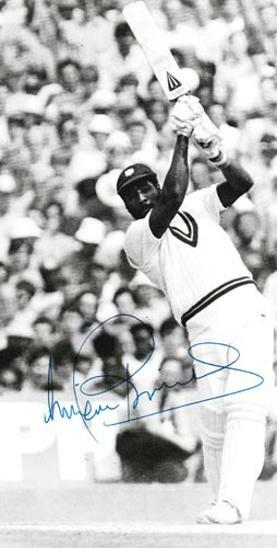 Signed B&W West Indies cricket pic. 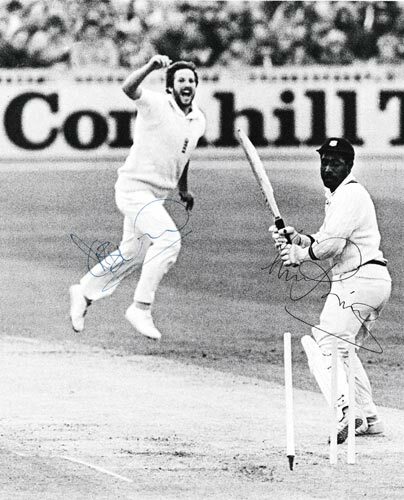 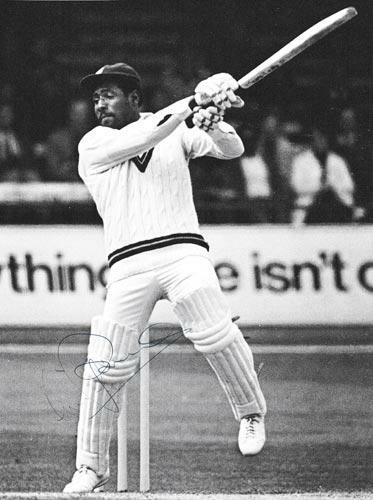 Multi-signed West Indies B&W cricket pic fielding in the slips against England during the 1980 Test series at the Oval. 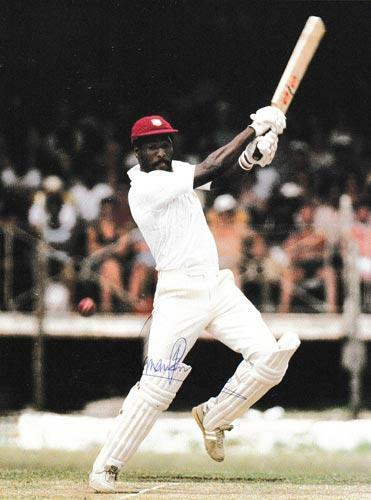 Signed West Indies colour cricket book pic batting against England in the 1981 Test series at Bridgetown, Barbados. 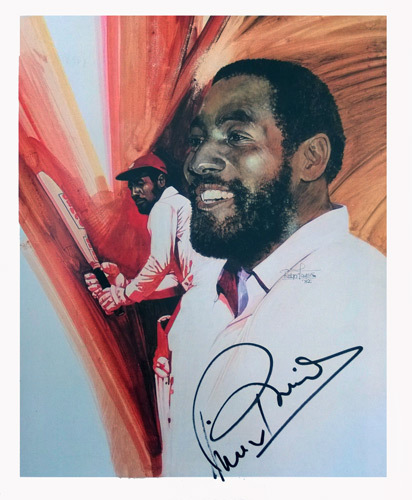 Signed West Indies B&W cricket book pic batting against England in the 1976 Test series at Trent Bridge. 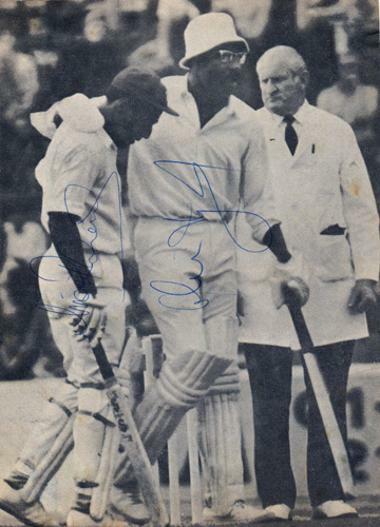 Signed West Indies colour cricket book page article and pic batting against Pakistan in a Test match. 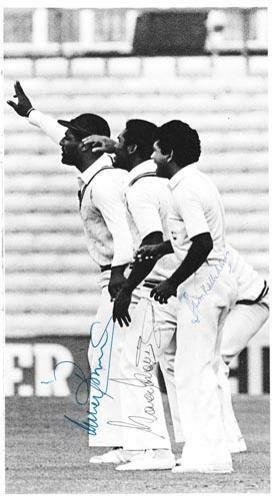 Signed West Indies B&W action pic. 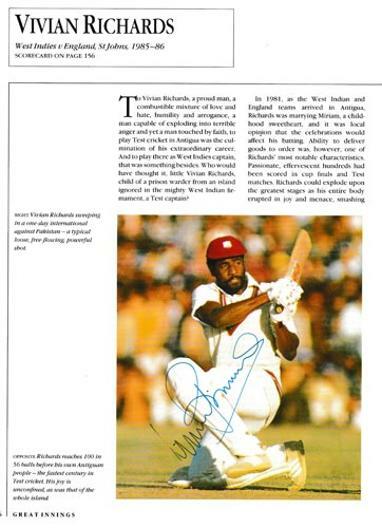 Signed West Indies cricket magazine pic. 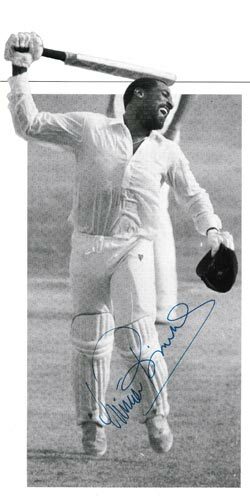 Signed West Indies B&W pic celebrating another Test century. 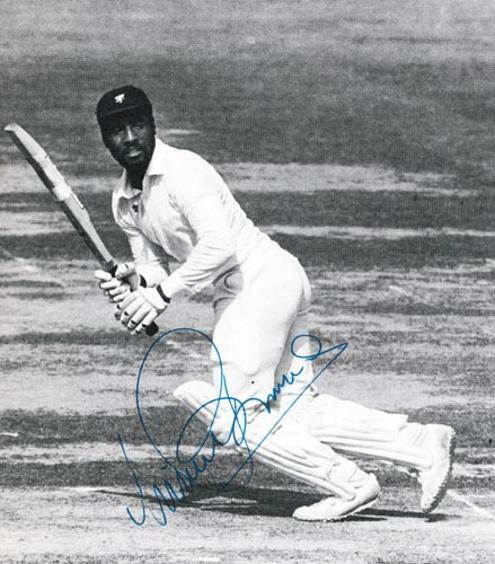 Signed West Indies B&W pic. 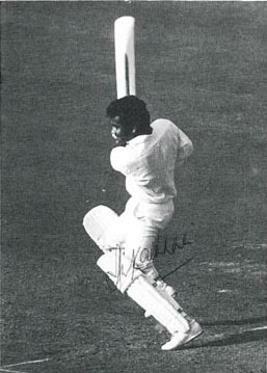 Another B&W pic on the reverse has been signed by Alvin Kallicharan. 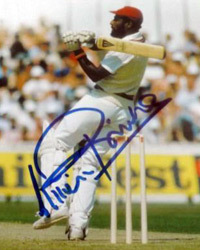 Welcome to our web page for West Indies cricket captain SIR VIVIAN RICHARDS and his signed cricketing memorabilia.